WASHINGTON—With yesterday’s dismissal of former FBI director James Comey serving as yet another burden on the historic document, the staff at the National Archives reported Wednesday that the U.S. Constitution had rapidly aged another 100 years from the stress of repeated crises. 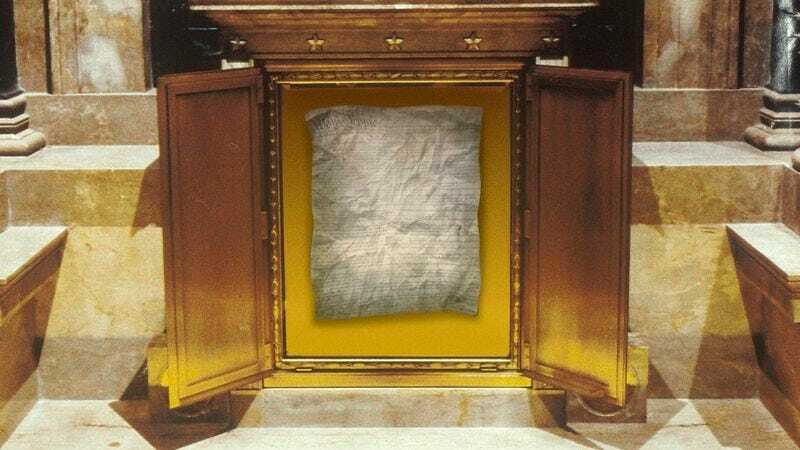 “All the strain it’s endured has really taken an awful toll on its appearance,” said archivist David Ferriero of the wrinkled, threadbare piece of legislation, adding that the accumulated tension from numerous attempts to undermine its status as the nation’s supreme law had caused the parchment to go completely white. “You can really see how all of these affronts to its essential role in our democracy have started to wear on it—you’d never believe a charter this broken down was only written in the late 18th century. I mean, no 226-year-old statement of legal principles should look like it’s almost 350.” Ferriero went on to say that, given all the Constitution had suffered through, he wouldn’t be surprised if it passed away well before its time.